Florence Bacquet has specialised in advising international companies on collective labour-law issues: staff representative bodies, collective status, group disputes and litigation with major financial implications. She also advises on restructuring and transfer of undertakings. A member of the American Bar Association, Florence, who is bilingual, graduated from the École des hautes études commerciales de Paris (HEC); she holds two Masters degrees (business & tax law, labour law) from the Université Paris I.
Florence began to practice with Joël Grangé’s labour-law team at Gide Loyrette Nouel in 2007, and joined Flichy Grangé Avocats in 2009. 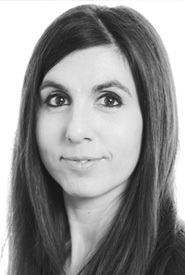 She is actively involved with our firm’s work on legal aspects of the latest digital and information technologies.